I’ve had a few residents contact me living around Dollis Hill tube station and in the Neasden area who have told me about their recent experiences being a victim of gold chain snatching. I am urging residents who are victim of this crime to first of all make sure the any incident or even attempted incident is reported. This will give the police the intelligence they need to make sure they are patrolling the right areas at the right time. In the past, such an approach has led to success in actually catching the culprits LINK . However, Police for now rely on greater information and intelligence as there is less of them in the Dudden Hill Safer Neighbourhood Team. I have raised the matter with the local Ward sergeant and I have visibly already seen Police around patrolling at times that people told me these incidents happened in one of the locations at least. Crime and anti-social behaviour is by far the biggest issue in Dudden Hill on the doorstep. The situation is not helped by the cuts in our local dedicated Safer Neighbourhood Team. 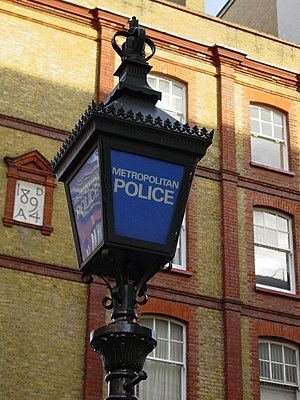 In 2011/2012, we invested £2,449 in the Safer Neighbourhood Team to provide crime reasurance and prevention equipment. In addition £3,816was provided to Elders Voice who provided home security improvements and advice to vulnerable residents aged over 60. £180 worth of safety equipment was also funded to the newly formed Ashcombe Park Neighbourhood Watch. Street drinking is a huge issue in the Neasden area. The amount of cans left behind by drinkers and the anti-social behaviour that residents and businesses suffer from drunk people is horrific. At the last Dudden Hill Ward Panel meeting, I supported the resident’s and businesses’ plea to have it as a priority issue for the Safer Neighbourhood Team to tackle. Today I will be going around Neasden with the Neasden Action Group to further investigate the issue and talk to residents about what they can practically do when they see someone drinking openly around their area. Anyone is more than welcome to join us. We will be starting off where Cairnfield Avenue meets with Chartley Avenue at 1PM. All are welcome to attend the Willesden Area Consultative Forum which takes place on Tonight at the College of North West London, Denzil Road, NW10. Start time is 7pm prompt. 5 Community Infrastructure Levy – the levy allows local authorities to raise funds from developers undertaking new building projects in the local area. I have also invited representatives from the fire brigade who will be available to talk to people during the break about fire safety. I felt this was important due to the tragic incident that happened in my ward last month in Sonia Gardens in Neasden, which is in my Ward. There will also be a representative from the Willesden Sports Centre to talk to during the break. I have made strong representations to the Borough Commander following the loss of Dudden Hill Safer Neighbourhood Team staff. Coalition and Mayoral cuts to police budgets are leading to recruitment freezes in police numbers which means that there are currently no plans to replace members of staff. I am therefore worried that given the loss of full time staff, residents in Dudden Hill may be permanently deprived of around 2,142 hours of frontline police hours a year. That is something I do not want for my residents. Our safety is not a price worth paying. I am particularly concerned given the high crime rate in parts of Dudden Hill Ward – particularly the Church Road area which according to Metropolitan Police Crime Map figures had a crime rate of 21.12 in October 2010 which is more than double the 9.52 average crime rate in Brent. I am fighting to make sure that Dudden Hill is represented and I am actively making a strong case to the Borough Commander to divert more resources for my ward.